"Jungle" joy: Disney has a brand new boxoffice gorilla in "The Jungle Book." The PG rated live action adventure drama from Walt Disney Pictures, which opened last weekend to a joyful $103.6 million at 4,028 theatres, is the third biggest opening of the year after "Batman v Superman: Dawn of Justice" ($166 million on Mar. 25) and "Deadpool" ($132.4 million on Feb. 12). Its record setting launch comes on the heels of Disney's "Zootopia" over-performing to the tune of $311.3 million domestically after seven weeks (plus $574.8 million internationally to give it $882.3 million worldwide). Disney said Sunday that "Jungle" posted "an amazing estimated global weekend of $240M, including $103.6M from North America, making it the second largest April opening in history and the highest April opening for a PG-rated release. "Internationally, following a successful opening last weekend in a handful of territories, the film saw an estimated weekend of $136.1M. Highlights include a great 3-day $50.3M start in China (3rd highest TWDC live action opening ever), a cume to date in India of $20.1M making it the 3rd highest grossing Hollywood release ever after just 10 days, and strong openings across Europe and the rest of Asia and Latin America. "The movie received an 'A' CinemaScore and a Rotten Tomatoes score of 95%, reflecting great critical and audience response." "Jungle" is positioned to be the prime family appeal film in the marketplace until Columbia and Rovio Entertainment's 3D animated action comedy "The Angry Birds Movie" flies into multiplexes May 20. It also will run into competition from Disney and Marvel's May 6 launch of the PG-13 rated 3D sci-fi action thriller "Captain America: Civil War," which will play well to families with older children. Hollywood handicappers were originally anticipating an opening of $70 million. As "Jungle's" opening approached, they were talking about $75 million-plus and then upped it to $80 million or more. Coming in at $103.6 million was clearly a grand slam homerun that redefines over-performing. Disney said those on hand were 51 percent female and that families accounted for 49 percent of ticket sales. It's the second biggest April opening ever, following Universal's "Furious 7" with $147.2 million on Apr. 3, 2015. Directed by Jon Favreau ("Iron Man" and "Iron Man 2"), "Jungle" stars newcomer Neel Sethi as Mogli, the film's only human character. "Jungle's" voice stars for the animals include: Bill Murray, Ben Kingsley, Idris Elba, Lupita Nyong'o and Scarlett Johansson. Based on Rudyard Kipling's stories, "Jungle" is inspired by Disney's classic 1967 animated film, but takes an approach all its own. The animated "Jungle" grossed $73.7 million domestically, a huge success some 49 years ago. With re-issues since then, its domestic cume has climbed to $141.8 million. Hollywood handicappers thought the new live action "Jungle" would swing into theatres with about $70 million, but like "
Zootopia," it over performed. It also compares nicely with Disney's $75.1 million launch Mar. 4 of "Zootopia," which is an original rather than a brand name like "Jungle." A good indication of "Jungle's" likely boxoffice strength came with Disney's announcement May 10 that in its first international engagements the film "enjoyed a fantastic start this weekend in just a handful of markets ahead of its wide global opening next weekend, most notably Russia, Australia (previews - Queensland, Victoria and Tasmania only -- around 50% of Australia) and Argentina, along with smaller markets including parts of SE Asia and Latin America." That $28.9 million international debut nearly doubled "Cinderella's" international launch and was 32 percent ahead of "Maleficent" in the same markets. Last weekend's big "Jungle" international expansion generated very impressive grosses across the board. Disney said Sunday that the film "opened in North America this weekend along with France, Germany, Italy, Spain, UK, Australia (wide), China, Brazil and Mexico, as well as Belgium, Finland, Sweden, Switzerland, Austria, Croatia, Denmark, Israel, Lebanon, Netherlands, Portugal, Slovakia, Slovenia, Ukraine, Iceland, Norway, Poland, South Africa, Turkey, Thailand, Taiwan, Vietnam, Trinidad, Panama and Venezuela. 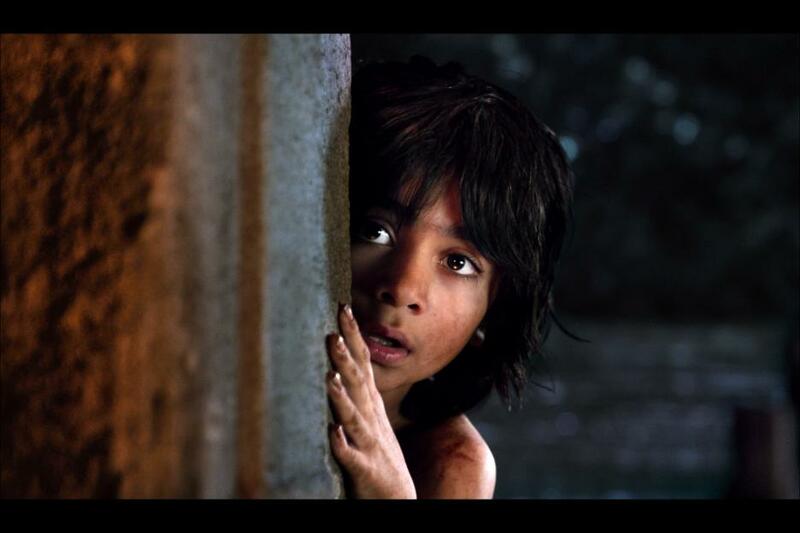 "Having opened in some markets last weekend, including India, Argentina and Russia, 'The Jungle Book' is now open in 49 international territories. Significant territories not opened yet are Korea (opening June 2) and Japan (opening Aug. 11)." Disney clearly established two years ago with "Cinderella" that there can be a great boxoffice upside to live action re-imaginations of brand name animated classics. The 1950 animated hit originally grossed $10 million, which was very good business then, and with re-issues now has a domestic cume of $93.1 million. The live action "Cinderella," directed by Kenneth Branagh ("Thor") and starring Lilly James in the title role, opened about 65 years later on Mar. 13, 2015 to $67.9 million. It went on to do $201.2 million domestically. "We embrace the mythic qualities of Kipling in the more intense tonal aspects of the film," explains director Jon Favreau, "but we left room for what we remember from the '67 film, and sought to maintain those charming Disneyesque aspects." "'The Jungle Book' is a universal coming-of-age story that everyone can relate to," says Brigham Taylor, who produced it with Favreau. "Walt told the story through traditional cell animation and now we have the technology to actually bring these characters to life, make them photo-real and put a real kid into the environment in a seamless, believable way. The opportunity to be able to show that with today’s technology was irresistible." But it's the story that's King, Favreau points out: "I think films have to offer an emotional experience for the audience. The spectacle won't mean anything if they're not engaged emotionally with the characters. Every story needs humanity, emotion and character development, as well as humor -- presented in a way that doesn't betray the stakes of the film. There are white-knuckle moments in the movie when you wonder, 'What's going to happen to this kid?'" Kipling's stories have been adapted several times in the 12 decades since their publication. Walt Disney Animation Studios' "The Jungle Book," directed by Wolfgang Reitherman (the 1961 animated classic "101 Dalmatians"), was revamped because Walt felt its early drafts had the darker tone of Kipling's stories and were too serious. Released on Oct. 18, 1967, a year after Disney's death, the film quickly became a classic. Its iconic songs -- like Terry Gilkyson's "The Bare Necessities" and the Sherman Brothers' "I Wanna Be Like You" -- still inspire instantaneous humming and toe tapping. "Jungle" was re-released twice theatrically, as well as in home video, DVD and Blu-ray. "The bond between Mowgli and Baloo made a very strong impression on me as a kid," Favreau recalls. "It reminded me of my own relationship with my grandfather, who was a big part of my life. I really like that Mowgli is rambunctious, always getting into trouble. He isn't the standard well-behaved kid, but a bit precocious -- a 'Dennis the Menace' type. He isn't intimidated by these big wild animals, in fact, he's completely at home among them. He's a tough kid, but also very vulnerable emotionally, especially with Baloo. 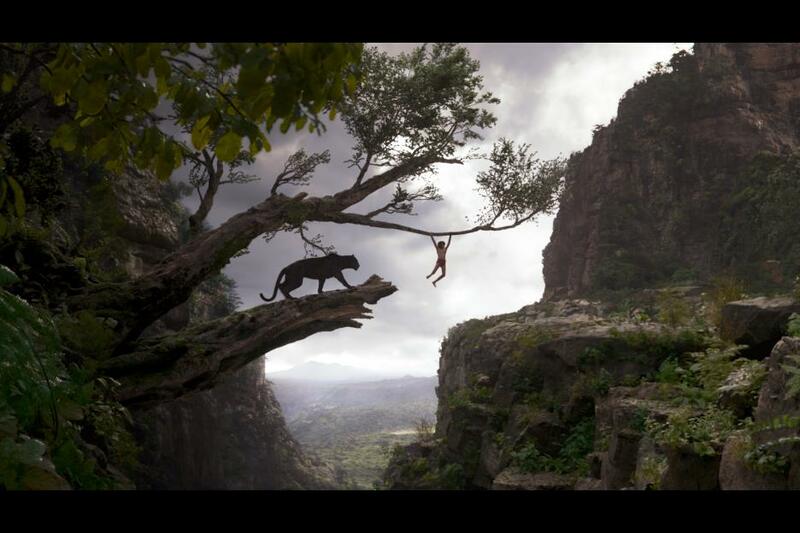 "There was a fun quality to Disney's classic animated version of 'The Jungle Book.' I loved the music and I remember having vivid dreams about the characters. 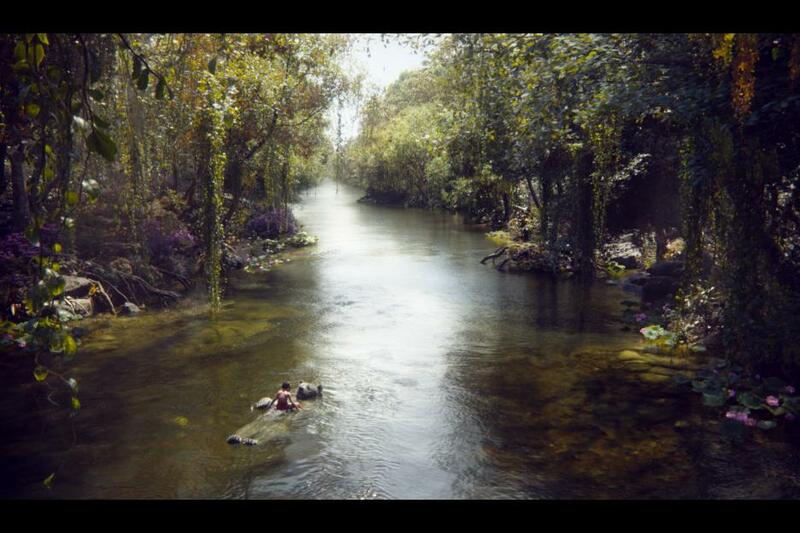 The scenes that made a big visual impression on me -- that I am carrying over to this version of film -- are images of Mowgli going down the river on the belly of Baloo, the python Kaa with its hypnotic eyes, and the majesty of those elephants marching by." Like Favreau, Taylor's gateway into the characters and story was his childhood exposure to the animated classic: "Long before I even knew about the original Kipling works, I saw the Disney animated version. Like most kids, I was deeply impressed by the amazing characters, the wish fulfillment of a kid living in the jungle among the animals. "Now, 'The Jungle Book' is an elemental and universal story, and its time has come in terms of the technology that we can use for the very first time to tell it in the way that Kipling actually imagined: a real kid in a real jungle lives with actual animals that just happen to be able to talk to him." The filmmakers didn't set out to create either a beat-by-beat literal remake of the animated film or a total return to Kipling's version. Finding the right tone for this new version of the story was a fundamental priority. The adaptation, whose screenplay is by Justin Marks ("Top Gun 2"), draws its inspiration from the animated classic, while still retaining the gravitas and mythology inherent in Kipling's original stories. "We're loyal to the animated film's characters," observes Taylor. "And in other ways, we've taken on some of the realism and tone in Kipling's stories. We tend to lean towards the characters that are familiar to us as we experienced them in the animated film, but we do mix and match to serve this version of the story." "We kept going back to the basic idea of Mowgli as a boy raised in the jungle who is forced to leave because of the presence of this big, bad enemy -- the tiger Shere Khan," adds Favreau. "We have Mowgli, who's living a happy-go-lucky life, but doesn't quite fit in a jungle because he's human. Although he's been raised by wolves and lived in the jungle, he doesn't have the physical attributes required to survive in that environment. The jungle -- beautiful, with some friendly inhabitants -- is a very dangerous place. "We borrow from Kipling in that it's an environment where there's real jeopardy. It's not safe for a kid. We took the basic story structure of the animated film, but we do it in a way that has higher stakes. We play with a tone that has a lot more jeopardy and where survival isn’t necessarily a given." Adds Taylor: "It's a coming-of-age story about a kid who is figuring out his place in the world. The adventure is real, the stakes are high, but at the same time, the film is warm and humane. It's hard to find that combination, but Jon brings it all to the table." It's that balance, according to Favreau, that appeals to viewers of all ages. "As a parent, I’m so grateful when there's a film that's appropriate for my kids to see but doesn't talk down to them," he says. "Kids can keep up with sophisticated storytelling. Walt's dream was always to pull families together -- but not necessarily in the most obvious or predictable way." Bottom line: Besides "Jungle," two other wide openings were competing last weekend for moviegoers' time and money. New Line Cinema and MGM's PG-13 rated comedy "Barbershop: The Next Cut," placed second with $20.2 million. Directed by Malcolm D. Lee ("The Best Man Holiday"), it stars Ice Cube, Regina Hall and Anthony Anderson. The franchise's last episode, "Barbershop 2: Back in Business," opened Feb. 6, 2004 via MGM to $24.2 million and did $65.1 million domestically. Lionsgate and Millennium Films' R rated action crime drama "Criminal," finished sixth with $5.9 million. Directed by Ariel Vromen ("The Iceman"), it stars Kevin Costner, Ryan Reynolds and Gal Gadot (who plays Wonder Woman in "Batman v Superman: Dawn of Justice"). The boxoffice jungle could see a new ruler next weekend with Universal and Roth Films' PG-13 rated action adventure "The Huntsman: Winter's War" opening at about 3,700 theatres. The franchise's first episode, "Snow White and the Huntsman," opened June 1, 2012 to $56.2 million and did $155.3 million domestically.